Take your child along for the ride of their life on this New Zealand Designed and Made Mid Mounted Do Little bike seat. This robust, comfortable and safe child bike seat can be quickly secured to the seat tube of most bikes. 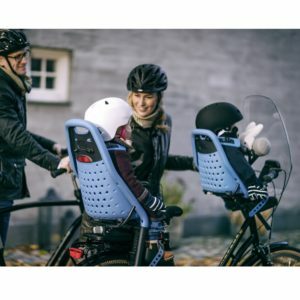 This clever design ensures that your child feels safe between your legs and gets a great view whilst holding onto the centre section of your handlebars. Designed for 18 months to 7 years of age, the Do Little bike seat lets you share the enthusiasm of riding a bicycle with your wee loved one and gets them excited about cycling at an early age. This centre-mounted kids bike seat fits onto most bikes in minutes with no special tools or skills required. 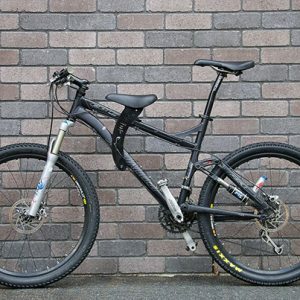 You will need the LOW RIDER fitting If you have a downhill mountain bike, a bike with an extreme sloping top tube or a wider top tube of up to 49mm. The first on the market of its kind. 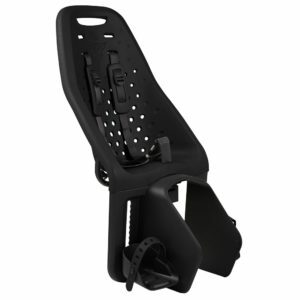 Allowing our bike seat to fit 99% of mountain bikes. If not we stand by our money back guarantee. The Low Rider fitting can be added with your Do Little or is sold separately in store. 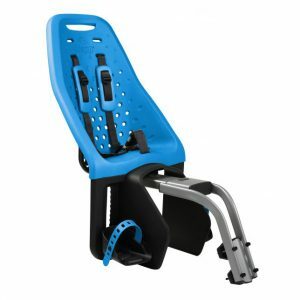 The Do Little kids bike seat has the highest certified weight capacity of all similar mid mounted products on the market. With their experience and years of design development Do Little have ensured their product is the best value for money on the market. 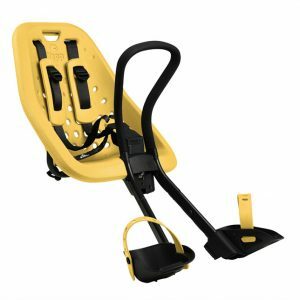 The Bicycle Child Seat Thule Yepp Maxi EasyFit is a safe and comfortable seat suitable for children from 9 months of age. 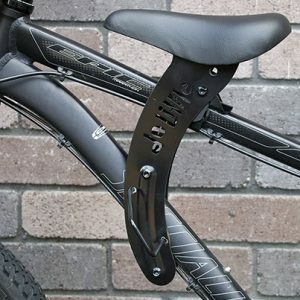 It can be easily attached to rear racks with the EasyFit hole or to any rack using an adaptor or your bicycle seatpost. This child seat goes right behind the seat. Thanks to the adjustable footrests and shoe straps, this seat grows together with your child. Moreover, its 22kg weight limit makes the seat suitable for 6-year-old children. The five-point seat belt, which can easily be adjusted to the child’s height, provides maximum safety. Moreover, the seat belt comes with a buckle, thus making sure the child will not fall out of the seat during the ride. The reflector and light holder improve the visibility of the bike in low light conditions. This seat was designed to make your child comfortable. The soft material the seat is made of is shock absorbent and water-repellent, making it easy to keep it clean and dry. Intended for the little travelers, the Bicycle Child Seat Thule Yepp Maxi EasyFit is perfect for families with active lifestyles.